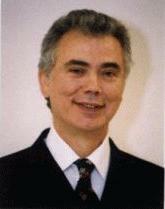 The IOIS Guidelines project was initiated by David BenEzra. 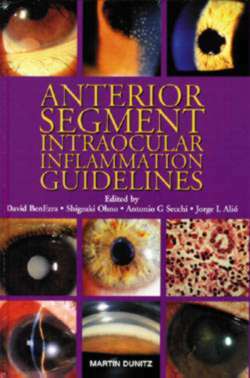 These guidelines, compiled by a panel of clinicians and scientists with a high level of expertise, aim to provide readers with the most up-to-date and comprehensive instructions on the treatment and prevention of ocular inflammation. All of the recommendations are explicitly linked to supporting evidence and graded according to the strength of that evidence and the editors have made every effort to ensure that chapters are of a consistently high methodological quality. The guidelines for each treatment include dose and the frequency and mode of delivery. Significant side-effects of treatment are identified and distinguished from those of the disease in question. Suggestions are presented for the prevention both of the disease itself and of the treatment-related complications. In addition, likely future directions in treatment and prevention are identified. These guidelines will be of great practical value for all clinicians and clinical scientists with an interest in the subject. 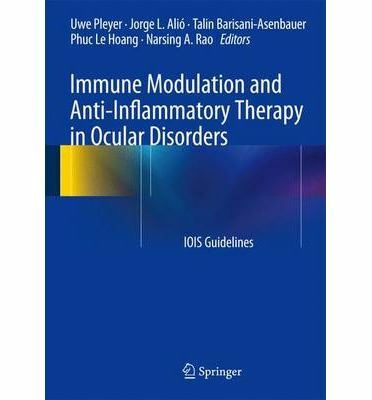 This handbook is the 5th educational publication carried out under the auspices and support of the International Ocular Inflammation Society (IOIS). As with the previous Guidelines, a panel of clinicians and scientists with expertise in external ocular diseases and inflammation was formed. This panel was given the task to compile a concise script on the available knowledge including also their personal respective experiences regarding two of the most common ocular inflammatory diseases: "Blepharitis" and "Conjunctivitis". 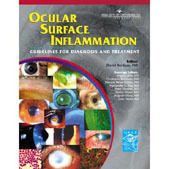 This 275-page handbook is the fourth educational publication and major scientific endeavor carried out under the auspices and support of the International Ocular Inflammation Society (IOIS). As with the previous Guidelines, a panel of clinicians and scientists was asked to compile a concise script on the available knowledge and their respective experiences regarding the Diagnosis and Treatment of Ocular Surface Inflammation with a special emphasis on manifestations and diseases affecting the cornea. The guiding outlines for the authors and editors were to make every effort to adapt the text for practical and educational purposes suitable for the clinician and clinical scientist in developed as well as developing countries around the world. Anterior segment intraocular inflammation (ASII) or, as more often designates anterior uveitis (AU) is a common manifestation implying that the inflammatory processes are confined to the structures of the anterior segment of the eye. 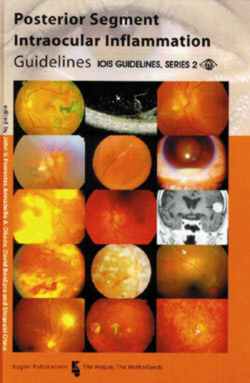 This handbook will help the practicing ophthalmologist to design a logical and clear approach for the work-up of patients with ASII. Produced under the auspices and financial support of the International Ocular Inflammation Society (IOIS). For each given patient, the most potentially yielding laboratory tests are suggested. 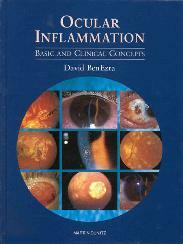 In this handsomely illustrated book, written by members of the International Ocular Inflammation Society, BenEzra has assembled a laudable collection of up-to-date reviews of topics that range from basic immunologic principles that apply to the eye to clinical disorders such as conjunctivitis, scleritis, uveitis, keratitis, orbital disease, optic neuritis, and selected infections and cancers. The intended reader is an ophthalmologist or ophthalmic scientist. Generalists, who evaluate patients with ocular inflammation in an effort to identify systemic disease, will also find valuable information in this compendium.